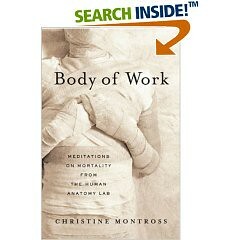 I just finished Body of Work, by Christine Montross. The book delves into the history of scientific exploration of the body, as well as into our cultures experiences and perspectives on death, and the body, in general. It is quite descriptive, so the squeamish may struggle through this one.. However- as I admit I pass out over injections and need to be medicated for dental visits…the writing style keep me from losing it. A wonderful, insightful read that was intriguing and well done. I look forward to reading more of Christine Montross’ writing. Noah and Dad set out to see this movie on a “daddy date”. Noah left the theater 3 times during the movie- “cause he was scared.” He came back in because he ” loves Veggie Tales and wanted to see the new movie”. Noah’s review of the new movie was this: “I never thought Id be scared of a Veggie Tales Movie.” Shaking his head in disbelief. There were scenes in the movie that may not bother some little guys- but bothered mine. (The cheeto’s that turned into toothy worms, and sword stabbing’s in particular, did him in) My DH didn’t find anything objectionable about the movie- but found it a little more “intense” than what we’ve come to expect from Veggie Tales. (I replied it was a Pirate Movie…. so some pirating was to be expected…) I suppose my guys just assumed Veggie Tales could do Pirates without scariness. Where Pirates abound, some fear, could be found;) Arrrg.